You know Google is awesome. But the real statistics and objective way to find the Google facts is now available through Google Databoards. Google has made available the insights from Google research and presented in the way that everyone can easily find out the facts. 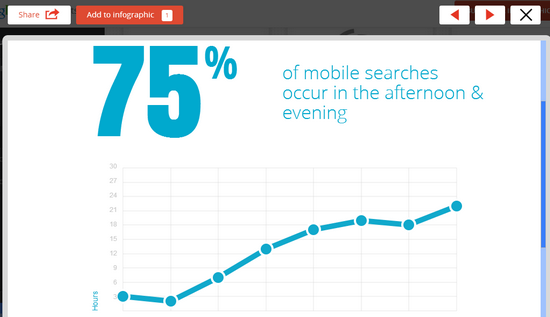 Users can then create infographics and share them on any social network. 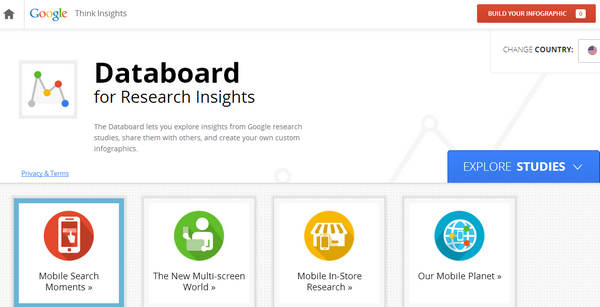 The Google databoard is currently available in 4 different categories like 'Mobile search', 'Multiscreen World', 'Mobile in-store research' and 'Our mobile planet'. Every category has a number of sub data tools like Mobile search have subcategories like Welcome, Key findings, Understanding mobile search, Mobile search drives multichannel conversions and Mobile search drive behavior in the moment. You can explore the data of Google research in a very interesting way and find out the awesome fact and also try to understand how Google uses the data collected from millions of users worldwide for its business. I also tried to create a simple infographics. You can also try and share with your friends over social media. Though the current data categories are only 4 but you can be sure that more will be added frequently.